Hello lovely creative people! I am so excited to announce the winner of the Life Book 2018 giveaway! So many comments and so many reasons for wanting to be a part of this amazing, creative, year-long journey that is Life Book. This diversity of reasons is proof of the value of creativity in our lives and how it can help us all on so many different levels! It is exactly this diversity of reasons and the turbulent world we are living in today that makes me want to share some thoughts about creativity. I think sometimes, when we are amidst so many difficult things happening around us, in our community, in our country, in our world and in our lives, that we might feel like being creative is a bit silly or a bit childish or a bit selfish or, well, “what’s the point”. We might even feel guilty about wanting to be creative or enjoying our creativity. 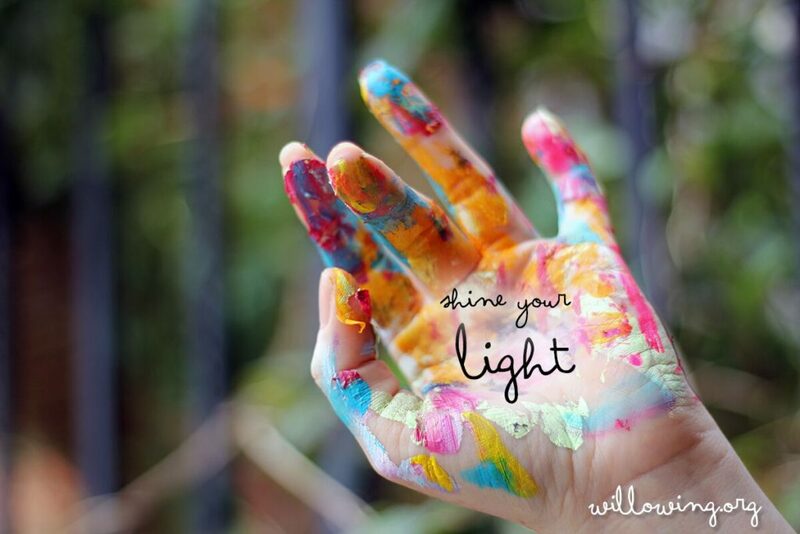 But denying ourselves of our creativity will not make us better people or the world a better place. I truly believe, and don’t get me wrong, I have to re convince myself about this all the time, that we need to find that which gives us joy and sanctuary and protection. Creativity may be that extra, little, sweet ingredient which helps us in our endeavour to become better people who are lighter and more positive and more energised and, dare I say it, happy. This is a wonderful quote which I read when I want to give myself permission to be creative. So, coming back to the giveaway, thank you to everyone who shared their “why” and I would love to send out special hugs to each and every one of you! But worry not everyone else! Life Book 2018 goes on sale T O D A Y and if you sign up until the end of December 2017, you can get a 20% discount! Oh yes! 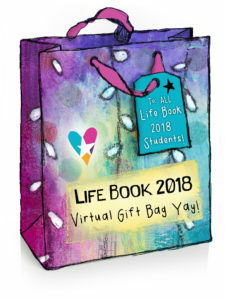 I am also so excited to let you know that all Life Book 2018 students will be given a Virtual Gift Bag with over 40 offers in the form of free gifts, coupon codes, free prints, classes, colouring pages and printable collage sheets!! And last, but certainly not least, I am so happy and grateful to announce that a percentage of the first month of Life Book 2018 sales will go to the Life Book Disaster Relief Fund. As a business, Willowing Arts are continuously involved with charities and humanitarian organisations, for example, Kiva, Friends of the Earth, Amnesty, Oxfam and Charity: Water. 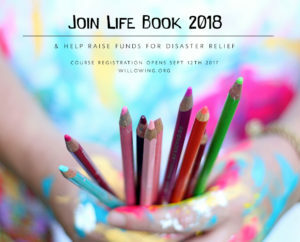 The lovely team at Willowing HQ has decided that a percentage of all first month Life Book 2018 sales will be donated to an organisation which does humanitarian and disaster relief work all over the world. I really look forward to seeing you all on Life Book 2018 !